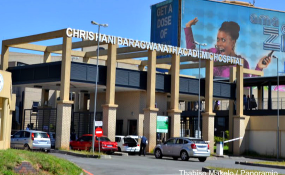 Chris Hani Baragwanath Academic Hospital in Soweto. The release of a final report about the state of competition in South Africa's private health sector has been delayed again. It was compiled by an inquiry panel made up of medical, legal and economic experts. The panel heard submissions from a range of stakeholders including members of the public, civil society organisations as well as private hospital groups. The inquiry was set up under the auspices of the country's competition authority in 2013. It's remit was to investigate characteristics of the private health sector that may prevent, distort or restrict competition. Its preliminary report, released in July 2018, concluded, among other things that the sector was highly concentrated in the hands of a few major players. The final leg of work was to get inputs from various players on the initial findings before concluding the inquiry. The inquiry has cost tax payers R197 million so far. Another delay of the report - which should have been released in March 2019 -is therefore bad news. The sooner South African authorities deal with the issues of anti-competitive behaviour in the private sector, the more likely access to quality health care will improve. South Africa has a two-tiered health care system. The public sector is under-resourced and stretched while the private sector is highly sophisticated and expensive. Even though only 16% of the country's population uses private health care, it nevertheless gets a large portion of the government's health expenditure in subsidies. The inquiry's preliminary recommendations offered a clear agenda for how the private sector can become an integral part of the current national health system. There must be no more delays: if South Africa is to reach its lofty goal of universal health coverage, the report must be released and those recommendations adopted. Medical schemes provide multiple plan options for cover without providing adequate information to understand what they cover, how the plans compare and what value the patients receive. As a result, consumers aren't able to compare what schemes offer or choose plan options on the basis of value for money. The inquiry also recommended that a centralised national licensing framework be introduced. This would accredit all health facilities including clinics, hospitals and GPs' rooms. Another recommendation was to establish a price-setting mechanism. The latest development is that, due to a lack of funds, all the inquiry's work has been suspended until the end of the financial year in March after which a new date for the release of the final report will be published in the Government Gazette. It's important that the inquiry is allowed to complete its task sooner rather than later. This is because its findings could have a bearing on a piece of legislation currently making its way through parliament - the Medical Schemes Amendment Bill. The bill proposes changes to medical scheme governance and benefit options. Reports suggested that the department of health wanted to wait for the outcome of the inquiry before finalising the bill. The inquiry could also affect the National Health Insurance Bill which is meant to herald in universal health care. But the bill is mired in controversy. The most recent version was recently rejected by the country's cabinet which instructed the national department of health department to review what's been proposed.